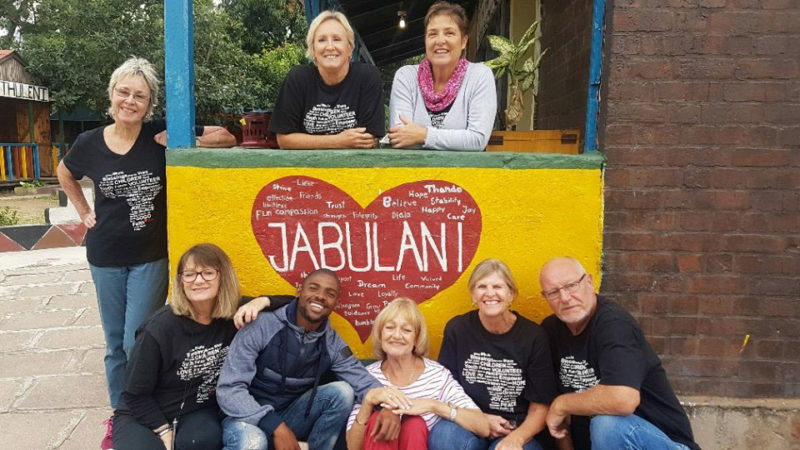 For years we’ve been visiting the Gogos and children at Jabulani – a community-based NPO serving disadvantaged women and their children who live in the townships surrounding Mariannhill. We have been providing local Gogos, orphans and vulnerable children and youth from 6 to 18 years of age with 2 meals a day during the week from the vegetables grown in our garden. They have a small clinic with two beds for medical emergencies as well as a crèche facility for children of the women and men that come to work at the centre – assisting with carpentry, sewing and other activities from which they can receive a small allowance. What a wonderful and uplifting visit earlier today with a beautiful team of Happy Helpers sharing blessings with some incredibly grateful Gogos, in the form of food hampers and mugs and #MugsAndMallows2018 campaign as well as a lot of love shared here today!